Easter is just around the corner and I have been thinking about some fun crafts to make with my kids. These adorable finger puppets are the perfect activity to do with them before Easter arrives. You could also use them to top some festive pencils for Easter Baskets, you are only limited to your imagination! 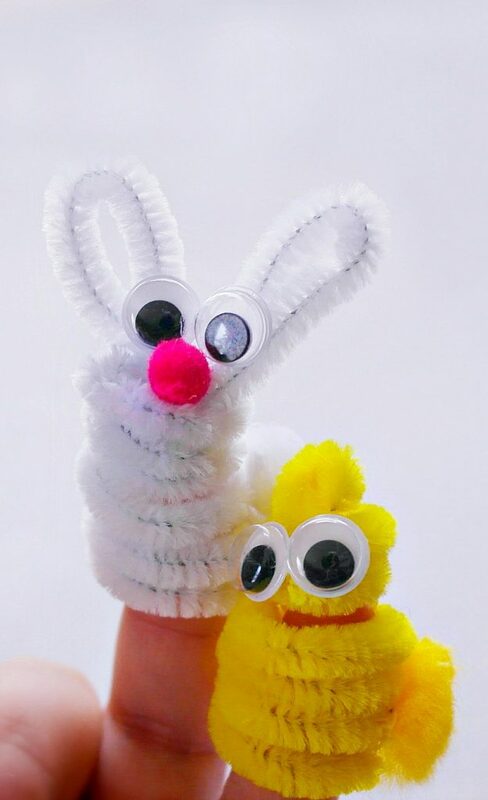 These finger puppets are made completely of fuzzy sticks, so easy and super cute! 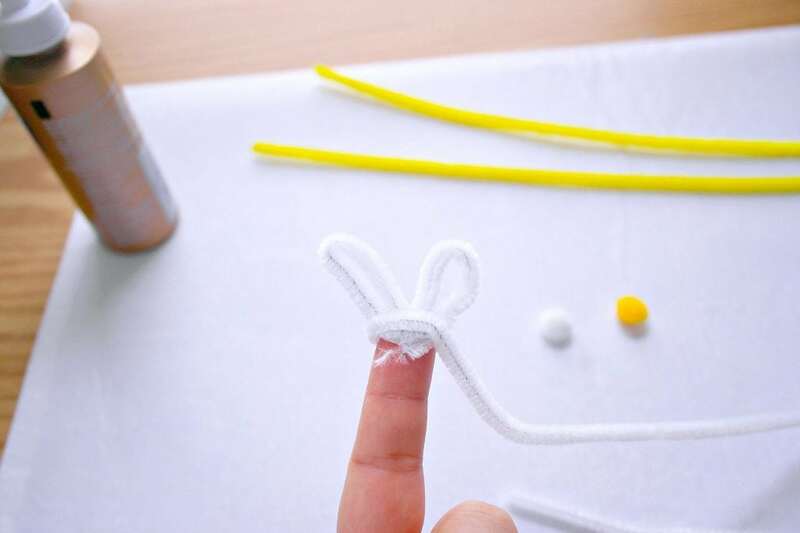 To make the bunny, fold two pieces of white fuzzy stick into a loop shape, these will be the ears. wraps that were made. 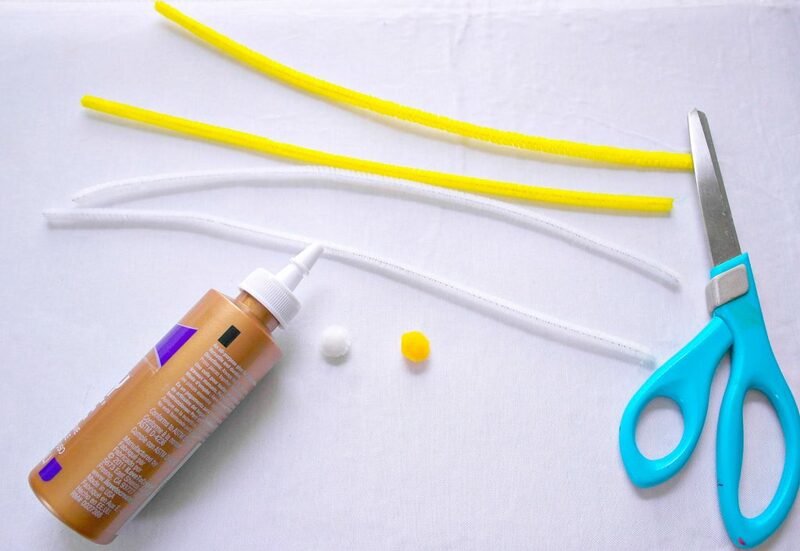 Secure with a touch of glue and bend the ends of the loop around the wrap. wrap and bend it over to secure them together. 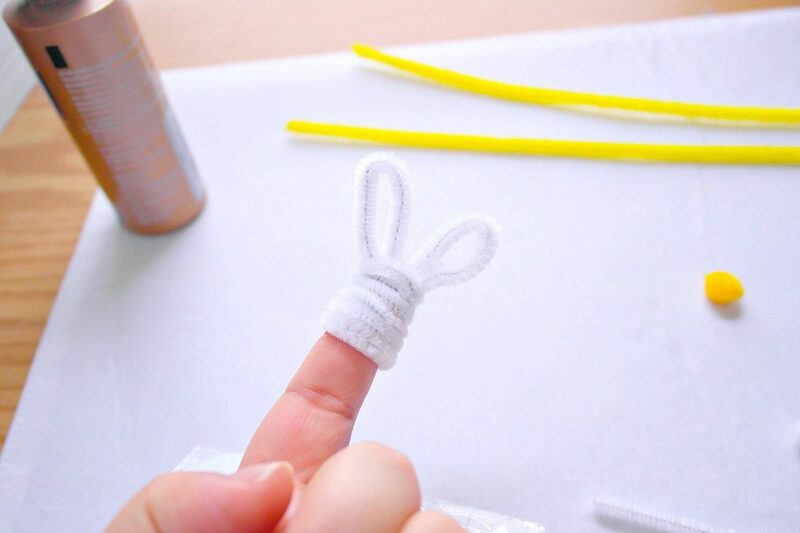 Slip the finger puppet off your finger. Glue a pom pom to the back and googly eyes and a pom pom nose on the front! loops for ears, tuck and glue a feather into the top once you are done wrapping the stick around your finger. Add eyes and a feather onto the back of the puppet! Aren’t these the most adorable little guys you have ever seen? 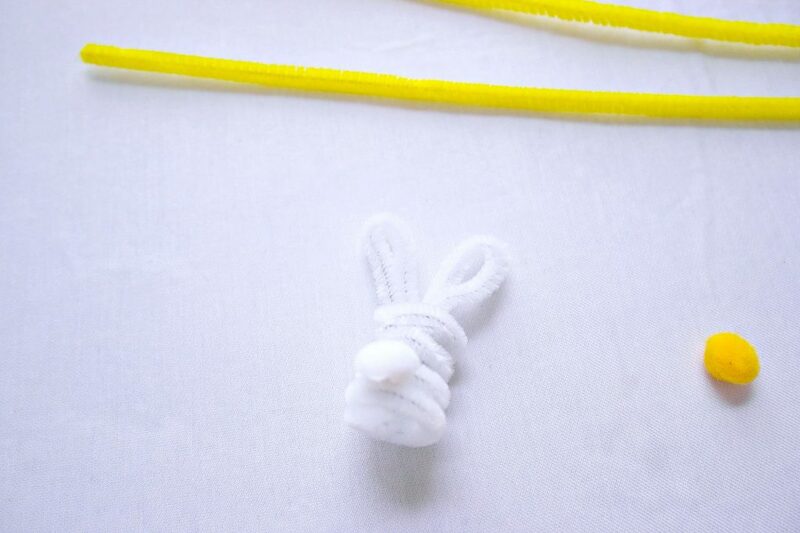 These are a perfect activity to make with your little ones to get them excited for Easter. I have even more ideas in my head for some more of these little guys, thinking a cute little lamb! I hope you all enjoy your Easter!